No dupe event! Epics: +8000% health and power, and 50% all effect resists. 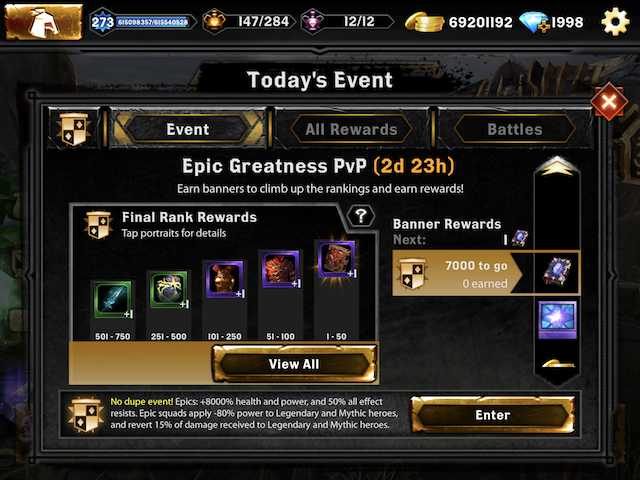 Epic squads apply -80% power to Legendary and Mythic heroes, and revert 15% of damage received to Legendary and Mythic heroes. Bonuses seem good in this event so far!